When you think about the benefits of choosing organic herbal tea, you probably think of the effects on your personal health. This is an important concern, of course, but it is only part of the story. Buying organic herbal tea made from tea grown by organic farmers instead of conventional farmers affects everyone from the local farmer to the community members where the herbs are grown. How Does Choosing Organic Herbal Tea Make a Positive Impact? There are a number of ways choosing organic tea improves both your life and the lives of others. Consider these areas directly affected by choosing organically grown herbs over conventionally grown herbs for your tea. How Do Non-Organically Grown Herbs Affect the Health Benefits of Herbal Tea? Many people consume herbal tea as a natural remedy for a number of health, emotional and spiritual problems. 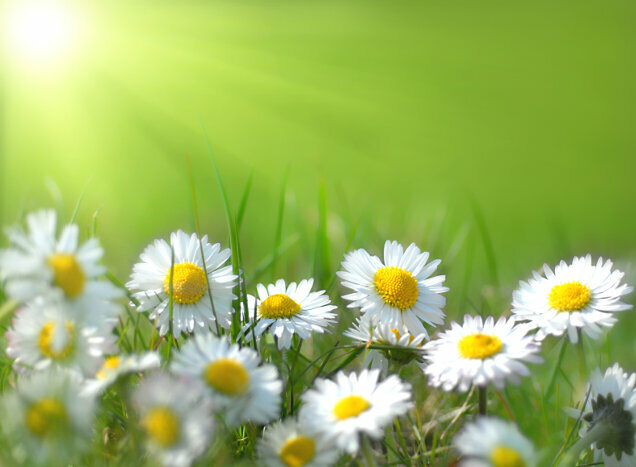 Organic herbs are free of pesticides and chemicals commonly used in fertilizers and pesticides. Non-organic herbs contain trace amounts of the chemicals used during production. These chemicals may override the natural health benefits contained in the herb, making drinking the tea more of a health risk than a benefit. According to a 2012 study by Greenpeace, many non-organic Chinese teas contain dangerously high levels of pesticides that may offset their natural health benefits. Consumption of tea that contains traces of pesticides may actually shorten your lifespan. How Does Choosing Organic Herbal Tea Help Farmers? Farmers who grow organic herbs do not face the health risks associated with pesticides, fungicides and other chemical controls use to combat insect pests and disease. Because the remedies used are natural products, there is no need for wearing protective clothing and masks. This makes the job of farming more enjoyable and safer for farmers and workers. How Does Choosing Organic Herbal Tea Help the Community? The nature of organic farming often necessitates small, intimate farms tended by local residents and family members. This provides a sustainable employment for locals. It also builds a strong community of like-minded individuals working together to improve the environment and promote healthy lifestyles. This impacts local economy as money is kept within the community. How Does Choosing Organic Herbal Tea Affect the Environment? Organic farming prevents injury to benificial insects, birds and wildlife as it uses all-natural methods of fertilizing and pest control. It also keeps the groundwater free of contaminants that can enter streams and lakes from runoff. Pesticide use on non-organic farms kills off both good and bad bugs, which means if an outbreak of pests occurs, there are no natural predators to fight them off. Birds and small animals that consume bugs may also be harmed by the pesticide residue. How Does Choosing Organic Herbal Tea Affect You Spiritually? 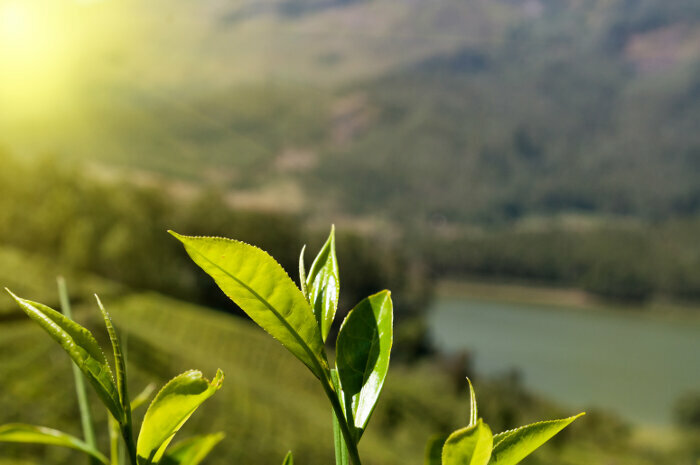 Many sensitives claim that plants exposed to pesticides and fungicides experience stress that is stored in the leaf, and believe it can be passed on when you drink the tea or inhale the aroma. Some even claim to be able to taste or ‘feel’ the difference between organically-grown tea blends and herbal tea brands produced from conventional farming. For those who use herbal tea as part of meditation or spiritual rituals, non-organic herbal tea may block energy flow or produce negative energy. Choose organic herbal tea blends to avoid the possible negative spiritual influence from pesticides and fungicides. How Do You Know if Your Herbal Tea is Organic? You may have assumed that because your tea is an herbal tea that it is also organic, but this isn’t always true. Commercial production of the herbs used in herbal tea formulas often follows conventional farming methods that include spraying with pesticides and fungicides. Read the label carefully to determine if your herbal tea is organic. You can typically find organic herbal tea or buy loose organic herbs to make you own herbal tea blends at health food stores. Many people enjoy a cup of steaming herbal tea in the evening to relax after a long day, but are unsure how to choose the best types of herbal tea. Choose an organic blend produced by a brand you trust in the flavor you prefer. When you choose a caffeine-free tea that has been grown organically, you can rest assured that you will get the maximum health benefits form the tea.